The AquaFX Mako is the Barracuda's big brother. It has 2 DI canisters so the DI wont need to be serviced as often. 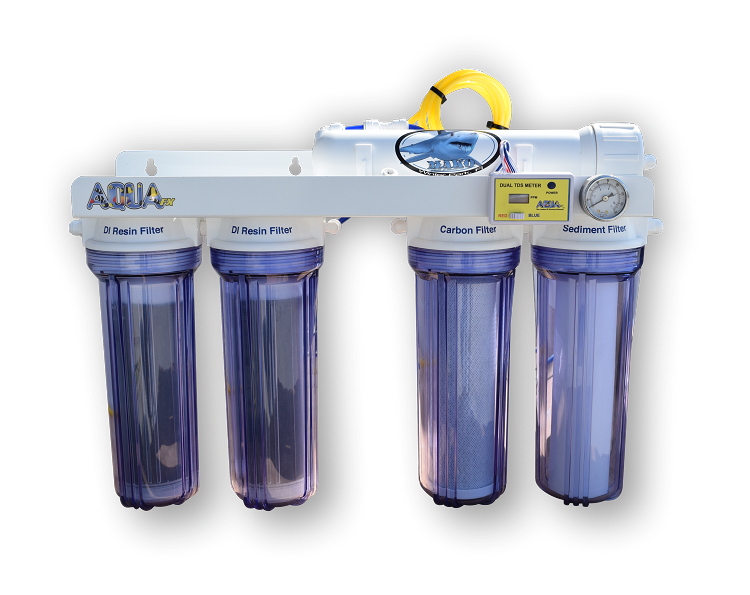 The AquaFX Mako also sports a factory Dual Inline TDS Meter that is only an option on the AquaFX Barracuda. 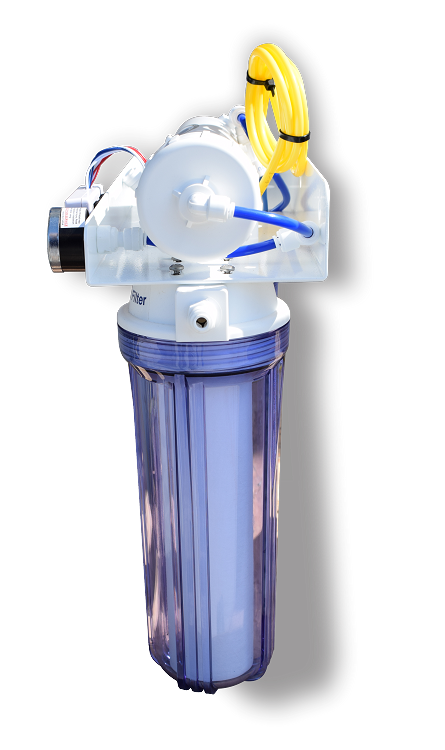 All systems include quick connect fittings, a filter wrench for easy cartridge replacement, and your choice of a feed adapter. We bought this RO machine to use in our Microbiology lab. Our current one was thousands of dollars and expensive to replace. The Mako has been a perfect replacement. 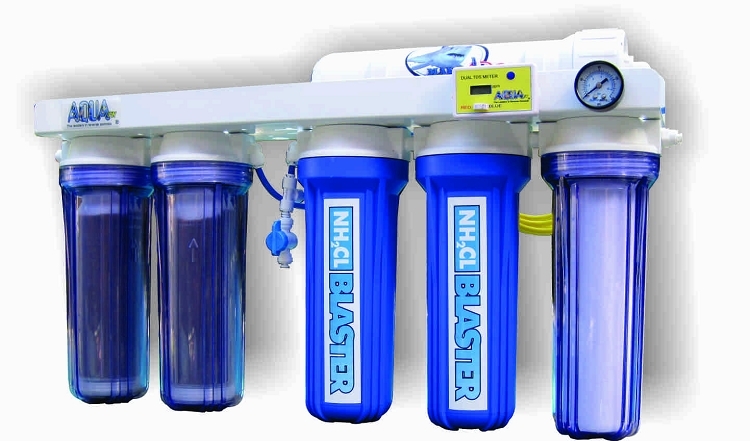 Easy to use and give good quality lab water. We have not experience contamination from the Mako!